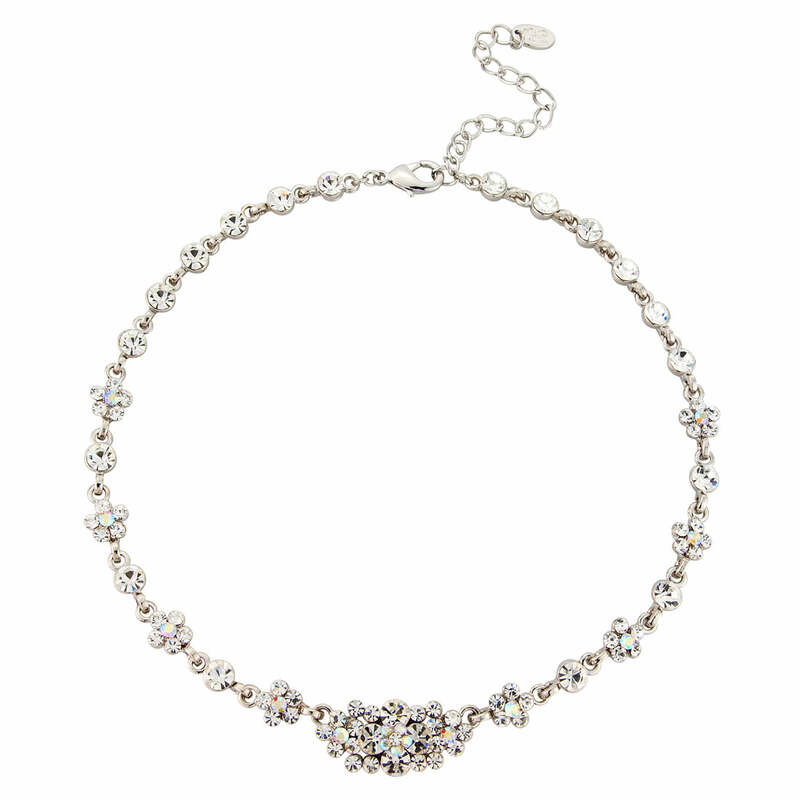 Inspired by the classic 1940s, this collar design enchants with aurora borealis sparkle. Understated yet with an abundance of sparkle, Radiant Starlet Necklace is enchanting. Featuring a bejewelled centre and chain encrusted with clear and rainbow reflective ab crystal flowers and single crystals, this 'piece' sits beautifully on the collar bone. A beautiful necklace for a dinner party or extravagant ball, it looks sensational coordinated with Radiant Starlet Earrings and Radiant Starlet Bracelet for a hint of classic glamour from the Golden Age of Hollywood. Brides who adore subtle 1940s wedding jewellery will fall in love with the timeless femininity of this piece. Coordinate with a bejewelled hair comb set in a low side bun for starlet style.